A decorative porcelain duck egg blue and white tile. 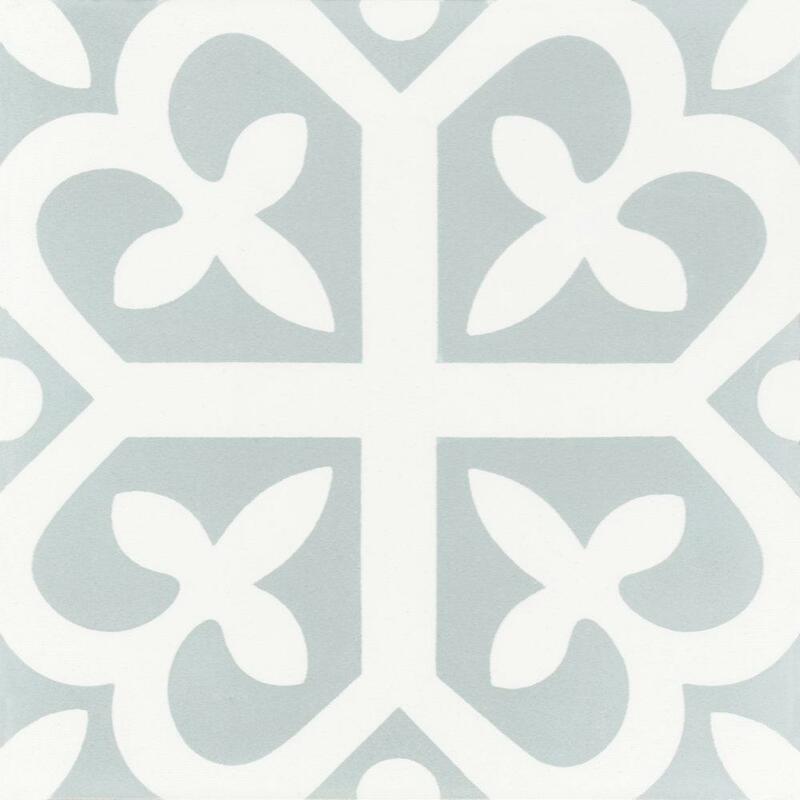 Nordic is a sophisticated en caustic style tile, with a decorative design which creates a uniformed design. 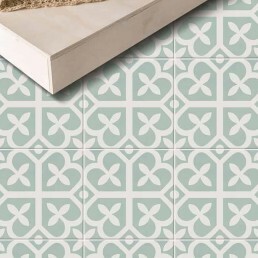 This decorative range has a repeated centralised motif. 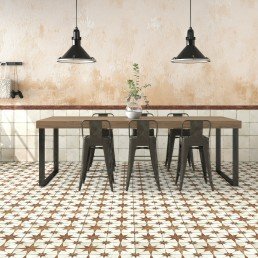 The culture of decoration with the use of tiles, a rich anthology of decorations that is inspired by ancient European and Mediterranean artisan tiles. Nordic and oriental geometric designs are added to the liberty, creating a uniformed art deco motif. 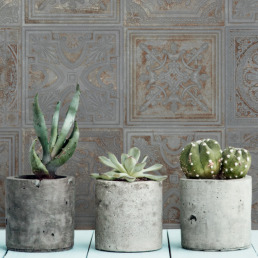 Nordic is an elegant decorative porcelain collection, made up from a neutral palette. Which is great because it does not limit your colour scheme. 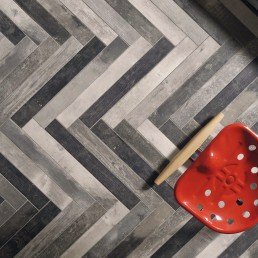 The range has a decorative and eclectic decorative design, with backgrounds that go superbly with furnishings and spaces in a variety of styles. Adding surface effects and rhyming colours. 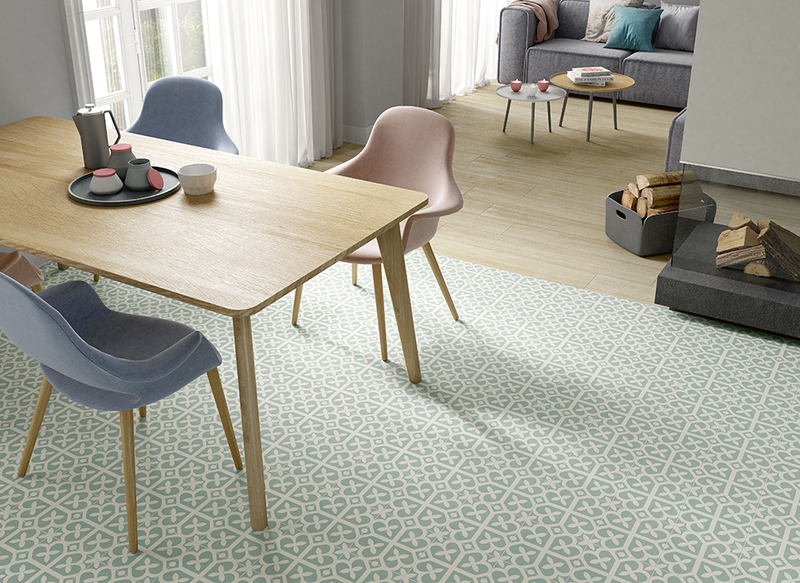 The Nordic collection is available in one size 200 x 200 mm and one colour Nordic green (duck egg blue). Graphic patterns from distant countries create timeless suggestions covering trendy spaces full of life and colour. 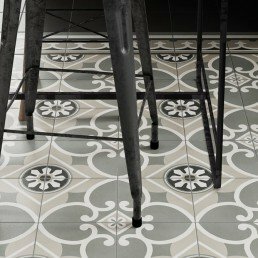 The simple design of defined patterns cover floors and walls to complete the oozy, intimate atmosphere, typical of the Nordic style. An airy, elegant decoration characterises the look of spaces and architecture with timeless original hues.